ADP non farm employment change is an economic indicator published in the ADP national employment report every month. This report is significantly important in the fundamental analysis of USD. The report publishes the total employment change in non farm, small business, medium business and large business. 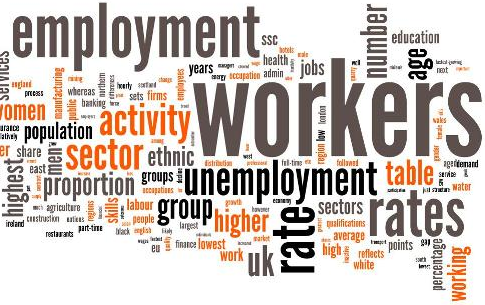 Employment change indicators have significant effects on the forex fundamental analysis. Positive ADP non farm employment change has bullish effect on the USD. It explains the health of US economy. If the ADP non farm employment change is positive, it means the US non farm industries have added new jobs. It also implies that the US unemployment rate is decreasing. We know, if US people have more job then US personal income, personal expenditure, and consumer price index will go up. So, this economic indicator helps to predict the US economic situation and US monetary policy. It also helps to predict other employment related economic indicators. Above image illustrates the historical ADP employment change. The average ADP employment change from 2001-2014 is 29.67 thousand. An all time high ADP employment change was 336.70 thousand in February of 2006 and a record low was -842 thousand in February of 2009. The latest ADP National Employment Report is released here. The calender of report releases can also be found there. Dear Traders, if you have any questions, complements or suggestions, please drop a comment below.